When a plumbing problem occurs, you want to find a Lincoln plumbing expert who can fix it first, to prevent the problem from escalating and causing other secondary damages. However, there’s more that goes into the process than hiring the first plumber that comes your way. Plumbing issues can be costly just as they are annoying, especially when they are ignored for a while. In addition to attracting pests and molds, they can also result in structural damage which may translate to hundreds if not thousands in repair costs. Fixing plumbing problems on time is the best way to ensure such issues don’t arise. But finding the right Lincoln plumbing expert is also critical because poor services can still result in devastating outcomes sooner than later. So, regardless of how urgent your plumbing problem is, it is important to spare a few minutes to find the right expert for you. A plumbing contractor with proper credentials won’t hesitate to avail important information like their licensing; after all, it is what proves that they are qualified to handle the task at hand. In addition to licensing, the plumber should be insured and bonded. That way, you as well as your valuables will be protected against an accident or any other unexpected event that may occur while they are doing the work. Remember, the market offers a mixture of experienced and inexperienced plumbers, so it only makes sense to want to find out where the plumber in question falls. 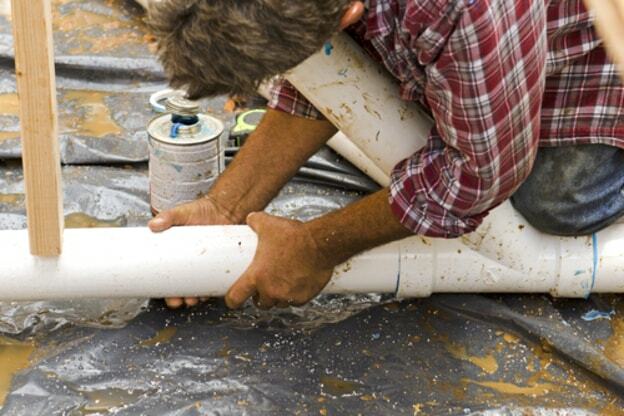 A good contractor is one with adequate experience in the kind of plumbing problem you are having. Many plumbing experts in Lincoln are transparent with their quotes. However, there are a few who give plumbers a bad name out there – because they issue estimates, but end up slapping clients with a bigger quote. A good plumber will come to the site; assess the extent of damage, before giving you a quote, as opposed to doing so on the phone. Find out about their past projects that are similar to yours to get a picture of how much you’ll pay. The final quote should contain labor, materials and a contingency plan. Well established companies have more than one plumber; they even bring in a team of laborers for large projects. That’s why you should ask whoever it is you are talking to about who is going to handle the task, and their qualification as well as experience level. If you are not comfortable with their answer, or if the person cannot give you details, then you may want to continue with your search. Will you clean-up after finishing the job? This might seem irrelevant until you are left with a room full of debris, dirt, and dust. A good company is one that hauls away old parts and clean-up after finishing the task. Keep in mind that cleaning is not an easy task, and can often lead to unexpected costs.